Last month The Book Wheel (meaning me) relocated from North Carolina to Colorado. It was a big move, but one my husband and I have been planning for the past year. The reason we moved was because I finished my degree in Political Science and will be attending graduate school. We were lucky in that my husband found a job out west much more quickly than we had expected, and so he and my brown dog, Oliver, headed out a few weeks before me. 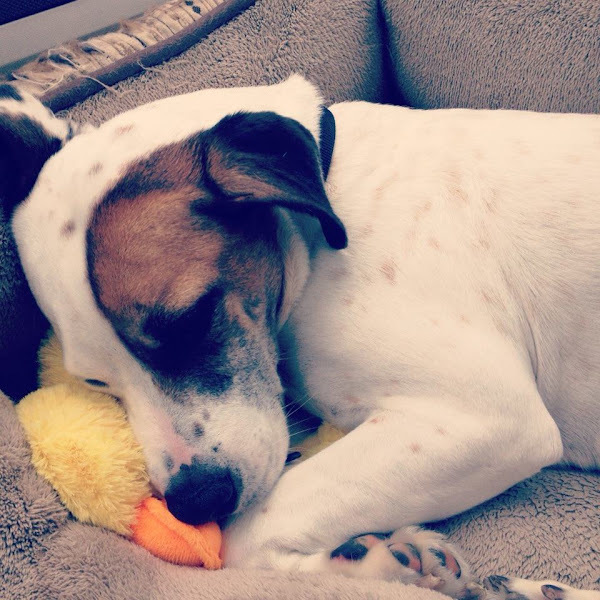 I stayed behind with our other dog, Penny, so that I could finish up the last few weeks of school. Having my husband move out before me was both a blessing and a curse. On the one had, it was nice to have absolutely zero distractions as I finished up final papers and projects and studied for exams. But it also meant that all of our stuff went out on the moving truck without me, which left me with a couch, a mattress on the floor, and a TV that survived a fire (the evidence of which was the smoke burns on the side). With the help of my parents, sisters and Skype, I was able to weather the final few weeks alone and begin the trek cross-country. I left on a Sunday afternoon and arrived on Tuesday night. I traveled through the Smoky Mountains in North Carolina, Nashville, Southern Illinois, Missouri, the entire width of Kansas and half of Colorado. I learned that Kansas is a lot more hilly than I had expected and that St. Louis was pretty spread out. I stopped in Manhattan, Kansas, to have coffee with a friend from NC and listened to Killing Kennedy: The End of Camelot on audiobook. I also stopped at a few other places along the way. 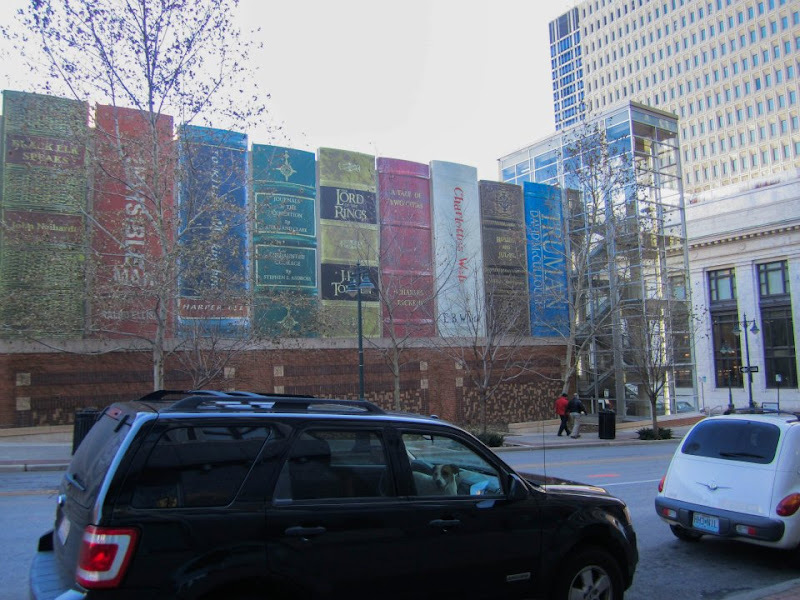 The first was the Kansas City Public Library, which has an entire wall made out of two-story book spines. I didn’t go in because I had my dog and I may or may not have been parked illegally in order to get an amazing picture. I also saw signs for the Eisenhower Library and stumbled upon his home and resting place in Abilene, Kansas. And let’s not forget driving through the miles and miles of the nation’s largest wind farm in Kansas. Every time I thought I had passed it, another 5 miles of them popped up!